Do you know whether your plumbing and heating complies with Building Regulations? How do you comply with Building Regulations? 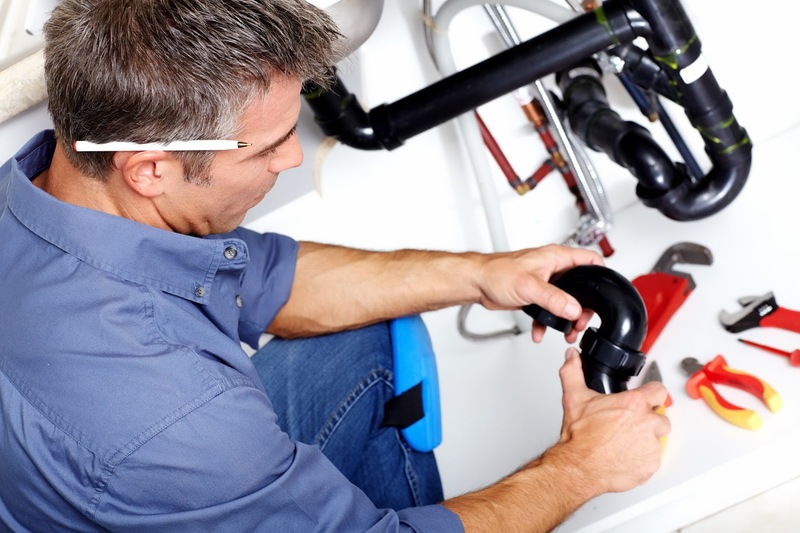 Many plumbing and heating jobs in a property need to be notified and approved as being compliant with Building Regulations by a Building Control Body, either your Local Authority Building Control or a private sector Approved Inspector, unless the work is carried out by installers registered with a Competent Person Scheme. An installer registered with a Competent Person Scheme is qualified to carry out specific types of work. They are able to self-certify that the work has been undertaken in compliance with Building Regulations, and via their Competent Persons Scheme Operator, such as APHC (Certification) Ltd., can issue a certificate of compliance, the detail of which is lodged with their local Building Control Body. Competent Person Schemes have the added advantage of insurance-backed warranties and complaints procedures, so if there’s a problem the property owner has an independent party to help resolve any issues. Competent Person Schemes are generally the most cost efficient way in plumbing and heating to ensure that work complies with Building Regulations. If you do not use a plumbing and heating installer registered with a Competent Person Scheme then you will have to obtain Building Control approval, as detailed above, which can cost considerably more than having the work notified through a Competent Person Scheme. What areas of plumbing and heating work fall under Building Regulations? What if you do not comply with Building Regulations? If you do not comply with Building Regulations the work will not be legal and as the property owner, you could be prosecuted and face unlimited fines. Plus as the work will be unchecked or certified it may not be safe, could cause health problems, injury or even death. What if you do not notify Building Control? If the work has not been notified to a Building Control Body or carried out by a Competent Person Scheme registered installer the Local Authority will have no record that the work complies with Building Regulations which will be vital when you come to sell your property as you may be asked to provide Certificates of Compliance. If the work is then subsequently found to be faulty, your Local Authority could insist you put it right at your own expense. What if you no longer have the Compliance Certificates? If you have had plumbing and heating work carried out and approval was sought but you no longer have the Compliance Certificate then you can request a duplicate copy either from your Local Authority or from the installer’s Competent Person Scheme Provider (dependent on who provided certification). If you don’t know who the Competent Person Scheme Provider is, you can contact the installer directly. Alternatively, a list of all current scheme providers can be found here. APHC Certification runs a Competent Person Scheme in addition to a Green Deal Certification Scheme and Microgeneration Certification Scheme and you can source members at www.FindAQualityPlumber.co.uk. On the back of carbon monoxide awareness week, we thought it would be pertinent to write a blogpost about the importance of carbon monoxide detectors, but in order to do this let’s first go into a little detail about carbon monoxide. Carbon monoxide is a toxic gas produced by the incomplete burning of any fuel, including gas, oil or solid fuels. When carbon monoxide enters the body, it prevents the blood from bringing oxygen to cells, tissues and organs. You can't see it, taste it or smell it, but carbon monoxide can kill quickly without warning or cause serious harm to health if breathed in over a long period of time. In extreme cases paralysis and brain damage can be caused as a result of prolonged exposure to carbon monoxide. According to statistics from the Health & Safety Executive, every year around 11 people die from carbon monoxide poisoning caused by appliances and flues that have not been properly installed, maintained or that are poorly ventilated. It is important to stress that it isn’t just gas boilers and appliances that you should safeguard against. Oil and solid wood burning boilers, fires and stoves also produce carbon monoxide. Therefore you should have a carbon monoxide detector in every room where a gas, oil or solid wood burning boiler, fire or stove is situated. How much should you expect to pay for a carbon monoxide detector? 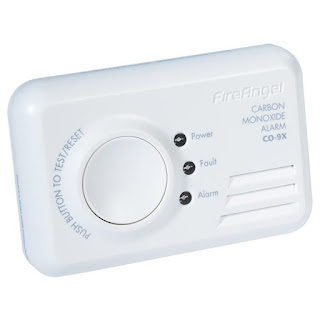 Prices vary and can start from under £10, but tests carried out by Which indicated that you’re more likely to end up with a safe and reliable carbon monoxide detector if you pay around £20 for one which requires disposable batteries or £25 for a detector with a screen and a long-life sealed battery. Which recommend that you buy a carbon monoxide detector from a leading retail company such as Argos, B&Q, Currys, John Lewis, Homebase, Screwfix or Wickes. What types of carbon monoxide detectors are there? Sealed battery carbon monoxide detectors. This type of detector sounds an alarm when carbon monoxide is detected and is disposable, typically lasting around 8-10 years. The detector will make a regular sound when it is time to renew the unit. This solution avoids the need to regularly replace batteries. Replaceable battery carbon monoxide detectors. These detectors work in the same way as a sealed battery unit, but are usually cheaper as this type of unit requires batteries which should be changed every 12 months. Smart carbon monoxide detectors. When this type of unit detects carbon monoxide it sends an alert to your smartphone or device as well as sounding an alarm. You will pay a premium over the aforementioned detectors as they offer the lasted in smart device connectivity. Patch carbon monoxide detectors. Which do not recommend to buy such a detector, as rather than sounding an alarm a patch detector relies on you checking to see if the patch has changed colour. It won’t alert you or wake you should carbon monoxide be present. Which recommends to buy carbon monoxide detectors that are loud enough to wake you up (85db or more) and that you test them regularly every month. It is also advisable that you have your cooking and heating appliances regularly checked, serviced and installed by a competent plumbing and heating engineer, such as an APHC member. You can source a qualified APHC Quality Plumber here. You can read our factsheet ‘Understanding the Dangers of Carbon Monoxide’ here.